We have 25 new Female Shoes restocking. You can now get some of these Neptune shoes from the Female Shoes store! The zombie, prison and mutant Zoink pet colours have just been released. Please take the time to read over the site's terms and conditions. The link is at the bottom of every page. We have changed the rules about pet trading and anyone who breaks these rules after this news post will be punished. The Daisy can be a mutant, zombie or prisoner now too. We have just released the Clothing Rack, at Studio 5 in Lowlyhood. Studio 5 is where Lowlyhood celebrities come to film their movies, music videos and have their photo shoots! When the celebrities are done filming, the clothing they used are no longer needed. The Clothing Rack inside this studio get so full that all of the used celebrity clothing is given away for FREE. 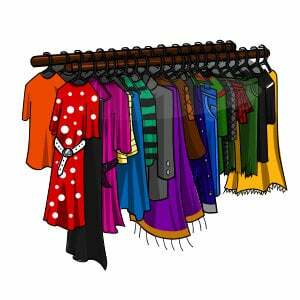 You can visit the Clothing Rack once every day to get a free piece of Celebrity Clothing! These are the clothes that we use in the Dress Up Games. If you dress up doll is currently male, you will get a free piece of male clothing. Female dolls will receive a free piece of female clothing. Our second Dress Up Game has just been released. This doll maker is Avril Lavigne. We have arranged some of the clothes, shoes and hair styles avaliable for Marapets dolls to look like Avril Lavigne and you can play with the doll maker to dress up Avril Lavigne. If you like some of the clothes or hairstyles, you can get them on the site for your own dress up character! 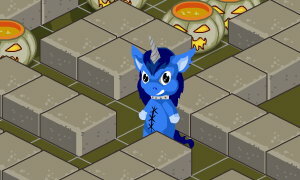 We have just released the first Dress Up Game on the site. When we released the virtual world of Lowlyhood, we mentioned that it will be filled with celebrities and fashion. We will soon releasing a Walk of Fame on the Lowlyhood map where we add celebrities to the world of Marada. Each celebrity we add will be a Doll Maker, where you can dress up one of the dress up character dolls on the site to look like that celebrity. We have just added Zac Efron doll to the dress up games page. It has hair styles, clothes and shoes for male characters on the site which we have arranged for you to dress up one of our dolls to look like Zac Efron. All of these shoes, clothes and hair styles are also avaliable on the site for your male character, so if you like the items you put on Zac, you can get them on the site for your character too! More of these dress up games will be added in the future for different celebrities. The Lottery has been drawn for this week. devilgurlchick is the winner of the 598,400MP Jackpot with the winning numbers of 7, 23, 14, 8, 12 and 19! Congratulations! Last Week's Raffle has now ended. colesprouseisahotti is the winner of the Red DNA and 100,000MP prize with the winning raffle ticket number 39658! Congratulations! Make sure you buy your tickets for today's raffle - only 10MP per ticket! Lowlyhood has just opened its first shop! There are 4 new Wigs restocking at the new wig shop. You can add these wigs to your wardrobe and they work on both male and female characters! Trades are now back online. We took them down for a few hours to fix a bug that occured while I was on vacation. Thanks to the trades logs we were able to go through 160,000+ trade activities in the past 6 days and catch those who were able to abuse this glitch. Cheaters will never win. A new brand of female dress up clothing, Chill, has been released. All 50 items in this brand are now restocking at the female clothes store! 25 new Female Clothes have just been added to the Vending Machine in Slater Park. The Lottery has been drawn for this week. honkytonkangel is the winner of the 713,500MP Jackpot with the winning numbers of 3, 7, 15, 22, 13 and 24! Congratulations! Last Week's Raffle has now ended. marinebiologist909 is the winner of the Red DNA and 100,000MP prize with the winning raffle ticket number 54379! Congratulations! Make sure you buy your tickets for today's raffle - only 10MP per ticket! These 4 new pets can now use the new School Costume. 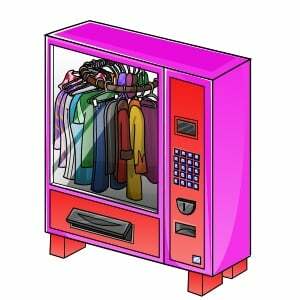 We have 25 new Female Clothes that have been added to the Vending Machine in Slater Park! This is just a quick update for those waiting for their Google Checkout payments to go through. We are currently having problems with our secure server that processes this information. It seems to be a hardware fault because it keeps cutting out randomly for 5-15 minutes and then working again. It is currently being fixed, but it means those who buy them while it is acting up weren't given it automatically. We're working through them all and you should all have your credit by this time tomorrow as we have a lot of you to go through. Please also email us just incase we do miss you out, so we have more chances of getting everyone up to date by this time tomorrow. Sorry for the delay so far and if takes us more than 48 hours after your payment to fix it, we'll give you extra credit! The Snookle can now be a mutant, zombie or go to prison! The September Account Upgrades have just been released.. and for the first time ever its actually early! Remember that anyone in any country that has a credit or debit card can buy them with Google Checkout and anyone living in the UK or US can use their cell/mobile phone to buy them too! We also accept cash/cheques/money orders that you can send to the UK or to Canada, whichever is easiest/cheapest for you! If you need any help with anything related to Account Upgrades at any time, just email us at marapets@gmail.com and we'll be happy to help. The School Costume is part of this upgrade set. You will also get 7 random pieces of the Vending Machine Instructions. To find out what they do, read the news posted before this! Here are all of the other items in this upgrade pack. We have just added a Vending Machine, filled with new clothing that does not restock, to the Slater Park map. Before you can use the Vending Machine, you need to collect all 16 pieces of the Vending Machine Instructions and put them together here. After that, you'll be able to use the Vending Machine once every 22 hours to get a random piece of rare clothing and MP for free! The Vending Machine Instructions will be part of the September Account Upgrades, released within the next few hours!! This is your last chance to get the January Account Upgrades! And here are 35 new female tops and bottoms that can ONLY be found using the Vending Machine! They will not restock or be found anywhere else! Also, just to remind you that next week is dedicated to male characters, where they'll get as many new items as the females did!! And there is also a Vending Machine avatar to find! We have a brand new Flash Game for you to play. Sokoban has been added to the Strategy Games category of the games section. The Clam missions have been changed. The lower levels now ask for Sushi and the other levels continue to ask for Pearls! We've also adjusted the MP prizes for all of the levels of the Clam. For example, instead of 100,000MP for completing the Clam, you now get 250,000MP! 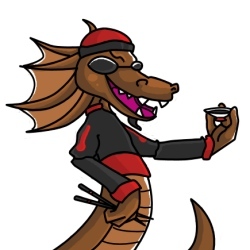 The Sushi shop has just added 25 new sushi items!! We've been so busy this month that we ran out of time for the August Account Upgrades, so instead we've released Giftboxes. We've been talking about releasing these for months but now they are out. They are items you can buy to sell or use. Each one you use will give you a "service" on the site. Below are all of the Giftboxes you can currently buy and what they do! Remember you can buy them by credit card or debit card no matter what country you live in and by mobile/cell phone if you live in the US or UK! The Whirlpool Giftbox will allow you to use the Whirlpool twice as often once you use it. You can only use the item once, but it'll allow you to permanently use the whirlpool every 12 hours instead of 24! It will only be useful for those who actually have access to the Whirlpool. The Extra Pet Giftbox will allow you to you hold an extra pet on your account. The maximum for every account is 12 pets, but 15 pets if you use 3 of these items! For example, use one of them and you can have a maximum of 13 pets. The Operations Portal Giftbox will allow you to use the Operations Portal in Enpiah twice a day for free instead of only once a day! Once used you will be able to use the portal twice as often as every one else forever! The Fishing Giftbox will allow you to go Fishing twice as often once you use it. You can only use the item once, but it'll allow you to permanently go fishing every 90 minutes instead of 3 hours! It will only be useful for those who actually have access to fishing. The Fasoro Falls Giftbox will allow you to use Fasoro Falls twice as often for life! Use the item once and you can use Fasoro Falls once every 2 hours instead of 4 hours forever! We've been working hard on the new Maramail and Alerts systems the past few days. They're still being worked on but while they were being worked on, we had some problems with both SMS and Google Checkout upgrade payments not processing. If you are still waiting for credit, please email us and we'll get it fixed for you right away. Its been fixed now though and both work. A new brand of clothing, Twinkle, has just been released. Its mainly coats and jackets, and there are 20 of them restocking at the Female Clothing store! The Sushi shop in Jenoa is now restocking 25 new sushi items! This new brand of clothing is called Sparkle and there are already 20 new items restocking! Ever wondered what pets live in Lowlyhood? Well its Skinny Pets of course! Everyone knows that nobody in Lowlyhood eats! This new Skinny Costume is now restocking. The Fast Food shop is now restocking 25 junk food items to try to help bring these skinny pets back to a healthy weight! Can you find this Skinny Avatar? Sorry for the 15-30 minutes of Server Errors we just had. The maintenance Newths have been hard at work to upgrade the site so that it runs faster for you all. The Lottery has been drawn for this week. rspyder is the winner of the 841,400MP Jackpot with the winning numbers of 6, 5, 4, 3, 2 and 25! Congratulations! Last Week's Raffle has now ended. trdef1 is the winner of the Red DNA and 100,000MP prize with the winning raffle ticket number 7937! Congratulations! Make sure you buy your tickets for today's raffle - only 10MP per ticket!